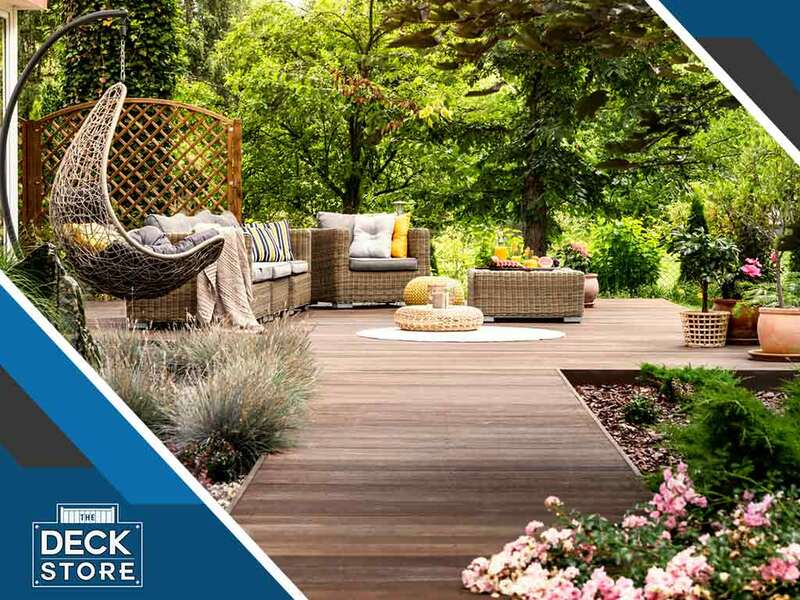 If you’re stumped about how to deal with that small, unoccupied space in your backyard, The Deck Store has a solution for you: turn it into a patio. You take your home’s patio design to the next level with these four style tips and tricks. Think comfortable, visually striking seats made of materials of your choice. You may also use cushioned swing seats for a fun, leisurely vibe. Choose stylish yet practical decor. Pay special attention to multipurpose furnishings, such as ottomans that can serve as a cocktail table, a seat or as storage. Adding a water feature to your outdoor space is one of the simplest ways to spruce up your patio. Outfit the water fountain with lighting so you’ll have a stunning outdoor centerpiece that doubles as exterior lighting. Whether you have a roof that extends out unto your patio or a freestanding pergola, your outdoor oasis could benefit from a ceiling fan. This will improve the comfort of the space on hot days. Consult your remodeling contractor regarding the best way to incorporate a ventilation system into your patio. A deck is a great way to elevate the look of your porch to a welcoming outdoor space. Among the most popular deck materials are a variety of tropical hardwood, plastic, composite and polystyrene. You may also choose from a wide array of deck stain colors. Boost the curb appeal of your home with the help of a professional deck company. The Deck Store can construct the deck of your dreams. We can also remodel your existing deck. You may call us at (701) 223-1008. We serve Mandan, ND, and nearby areas.